Preheat oven to 350°F. In a large bowl, toss the sugar with the freshly sliced apricots. In another large bowl, whisk together the milk, eggs and cinnamon. 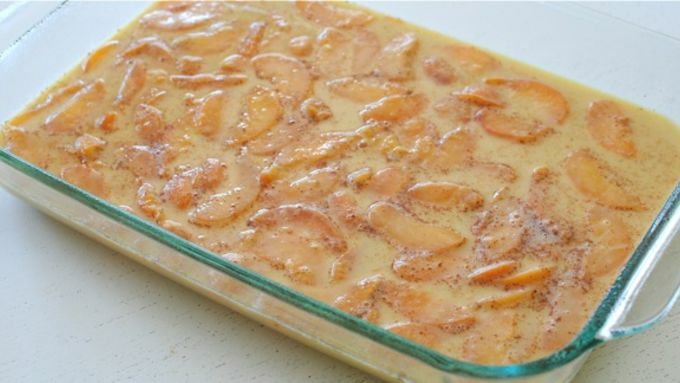 Pour mixture over the apricots and toss everything together until combined. 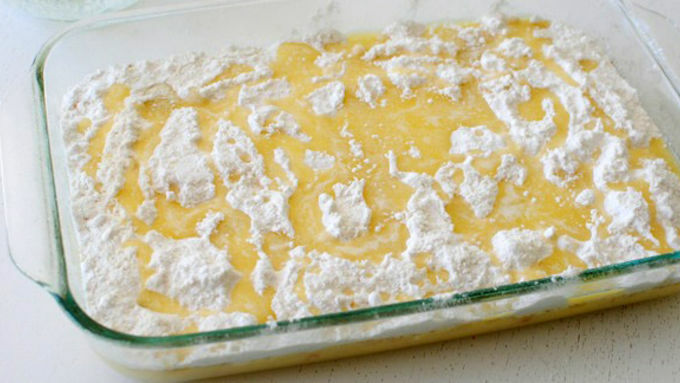 Pour mixture into a lightly greased 9x13-inch baking dish. Then evenly sprinkle Betty Crocker™ cake mix over the wet ingredients. Then pour the melted butter on top of the cake mix. Bake for 1 hour, or until the top is browned and slightly bubbly. Let cool completely on the counter for a couple of hours. Heat the Cascadian Farms™ apricot fruit spread in the microwave until warm, then spread it over the cake. 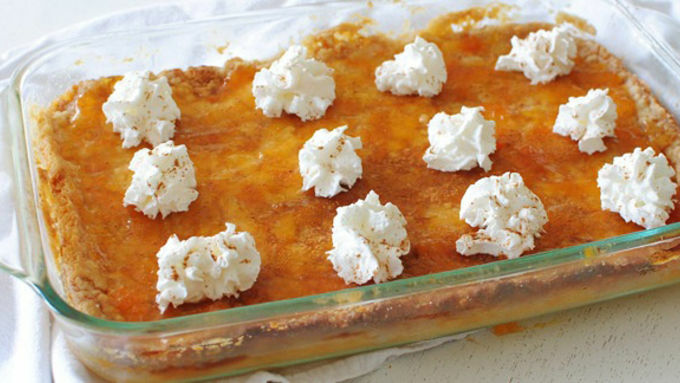 Dollop with whipped cream and serve immediately. Who wants to say "dump cake" five million times in a row? You might not want to say it, but when I show you what's in this puppy, you'll want to eat it. 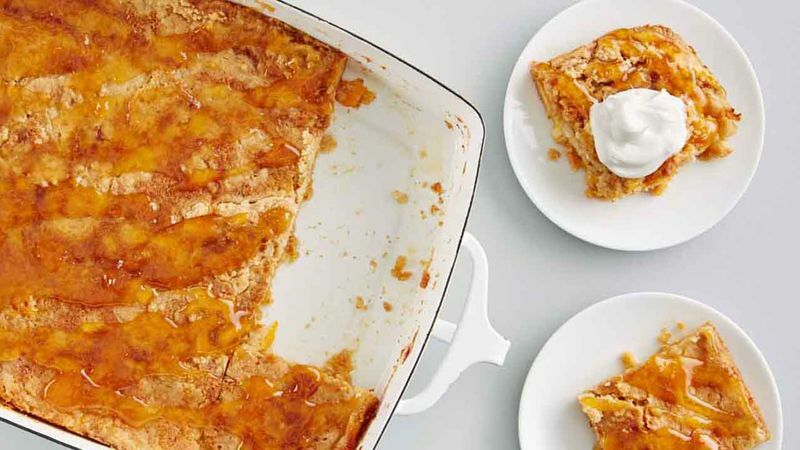 Also, there are no puppies in this Apricot Dump Cake. Those are what pound cakes are made of. OHHHHHHH STOP HER. Anyway, dump cakes. Dump cakes dump cakes dump cakes. What makes it a dump cake? I think it's because I dumped an entire box of cake mix on top of some wet ingredients. And then I dumped a whole lot of melted butter on top of the cake mix. And then I dumped the entire thing in my facehole. No holds barred. All holds dumped. You left, didn't you. Let's dump it! I mean make it. Getting dumped is awesome.